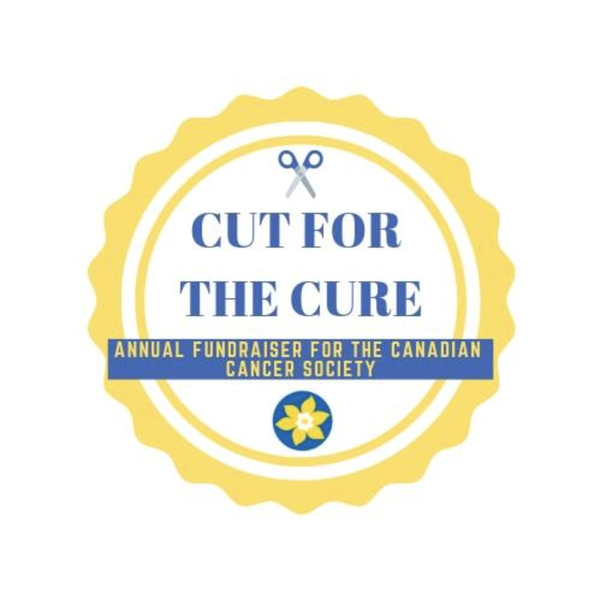 By Isabelle Atienza · March 27th, 2019 at 5:52 p.m.
Cut for the Cure will be returning for its annual fundraiser on April 3. Image from Cut for the Cure 2019's Facebook page. Back for its annual fundraiser, Cut for the Cure will be happening on April 3 from 10 AM to 3 PM in the Arts courtyard. The event will feature haircuts by professional hairdressers, food, and various activities, all of which will be by donation. Attendees may also get a haircut for free if they donate at least 8 inches or decide to shave their head. All donations will go towards the Canadian Cancer Society which funds research to improve cancer treatments. As it is her second-time organising the event, King detailed that the event will serve a pancake breakfast this year, instead of a BBQ. A variety of activities were added to this year’s event put on by different on-campus clubs, including the E-Sports club. In addition to this, the UBCO Blood Club will also be making an appearance to speak about stem cell donation. The event welcomes all students, faculty and staff. Whether anyone wants a haircut or not, they are welcome to drop by to enjoy the food and activities, or simply to donate. All donations are welcome online as well.